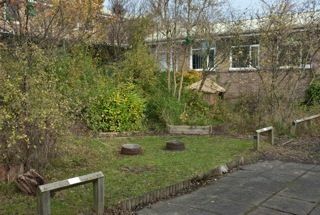 Back in April I ran workshops with Year 5/6 pupils at Hilton Primary School in Newcastle-upon-Tyne, as part of a project by Alec Finlay about habitat and outdoor learning. 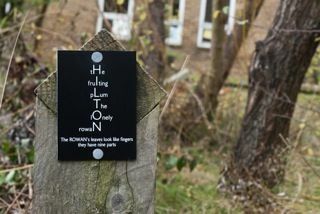 The focus was on exploring and redeveloping an overgrown garden known as ‘the wildwood’. Poet-botanist Colin Will spoke to the children about what was growing there. The visit with Colin gave them a lot of stimuli, and they made notes as they went round. 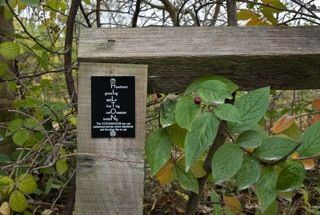 What helped them differentiate the plants was a memorable detail – the ash’s ‘black fingernails’, making it a ‘goth tree’, for example. 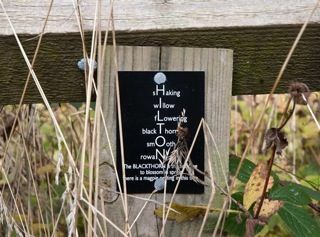 I showed the kids different ways to write about the plants they’d discovered and observed. 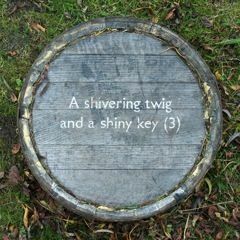 The mesostic poems have a central stem-word, while embedded poems have a word hidden within it, like a cryptic crossword clue. 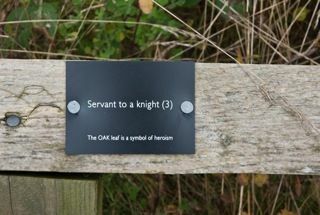 The two below include tree names. 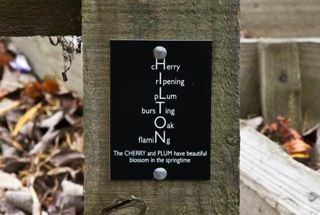 The poems have now been installed in the garden, as labels, bird-boxes and on barrel-seats.